There is a brandnew Pantera GT5-S for sale in Switzerland. White body with red interior, never registered and 8 km on the clock!!!!!!! Search for "Fotogalerie" and "Diverse De Tomaso Pantera zu verkaufen". There are a lot of pictures. Wow. If I had an extra 90,000 euros laying around (I'll hafta check my piggy bank), and the time and added expense of trying to import it to the U.S., I'd go for it in a hot second! Judging by the 351 Windsor, the Si style transaxle (M1 box? 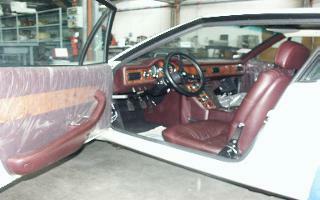 ), the burgundy interior, and the fact that the whole dash is covered with burgundy leather rather than black, I'd say it could possibly be a '90. This has to be one of the last GT5-S's made. Could you find out what year this GT5-S is, Franz? Thanks. I could not find out the year and the #, but we have seen this car at the factory last year. It is the last car built for Amerisport, without engine and gearbox and with american bumpers. Now it is complete,wear european bumpers and is for sale in Switzerland. If that is in fact the car that was at the factory, then I have a handful of photos I took of it during one of my factory visits a few years ago. I know for a fact I have the serial number among my photos. One more... here you can see the US-style front bumper. Note that it was never completed at the factory, which explains why it would have to have a late-model engine and drivetrain... When I saw it, the engine bay was empty. "real owner" is Amerisport. Kirk Evans paid for it in 1987. 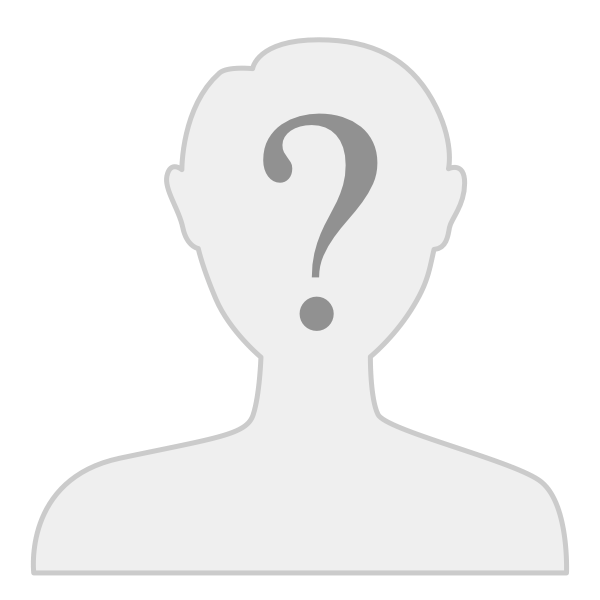 After the breakdown of his company, DeTomaso never delivered the car. I have copies of all the receipts. Car was sold by Isabella DeTomaso for 25.000 Euro w/o engine and transmission to Switzerland in 2004. The buyer purchased the motor and the gearbox from DeTomaso later.The car was at least assembled in Switzerland. So, When does Kirk get to pick up HIS car??? 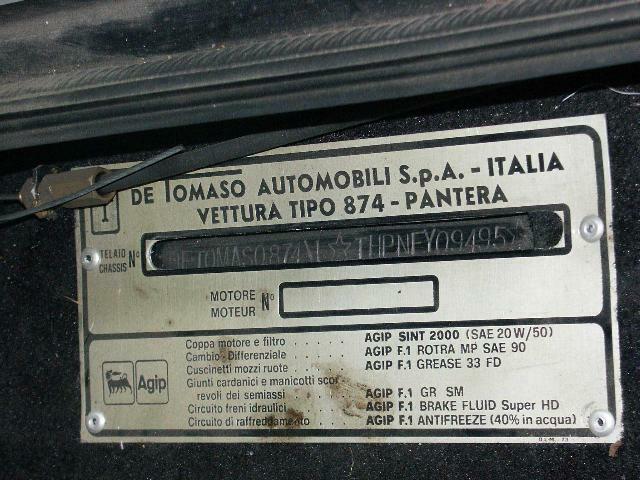 there is also a Pantera Si in red for sale on that site, do you know anything about the car? I cannot understand the lanuage, bad european that i am! Sorry for the late reply, but I was not in the office since December 23rd. 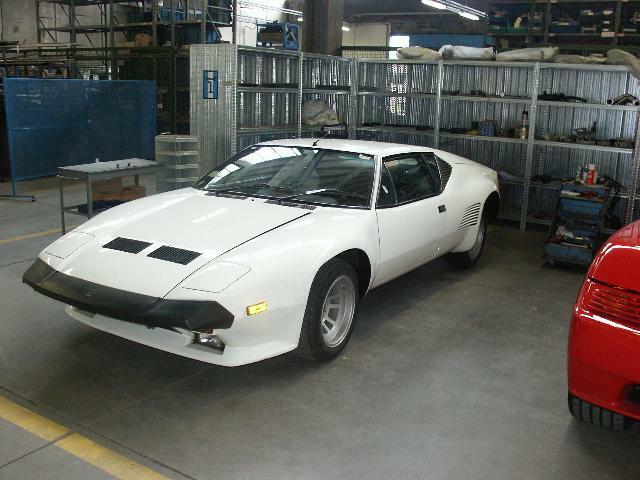 Now there are 29 new pics of this car on the swiss site www.pantera.ch . Search for "Pantera Si von W. Bösch CH". First we have seen this car during the factory meeting 1999. There it has won the first price at the concours. We have seen this car also two times in Switzerland and it was always in great condition. It is the fourth car built and the second car sold by the factory. Friends from England made a look on this car some times ago, but it was too expensive for them. They told me, the car has only swiss papers and no european taxes are paid for this car. That means 80.000,- Euro plus european taxes plus customs and this was too much for them. Thanks for your reply Franz, indeed it would be expensive, even more so here in ireland, I would estimate additional taxes and vat here would amount to approx 45000 euro. after so much years without anything to hear about this car , here comes mister Jaeckl !!! is this writing really an honest try to inform or has he missed a good deal ? is he jealous ? Whatever, I find it's unfair to write things like that when you don't even really know everything about the all story !!! Véro, tell us the whole story. Véro,tell us the whole story.